Something new came to fruition on Oct. 2 when the Canby Garden Club and Canby Area Chamber of Commerce presented their first annual Business Beautification Awards at the chamber lunch. 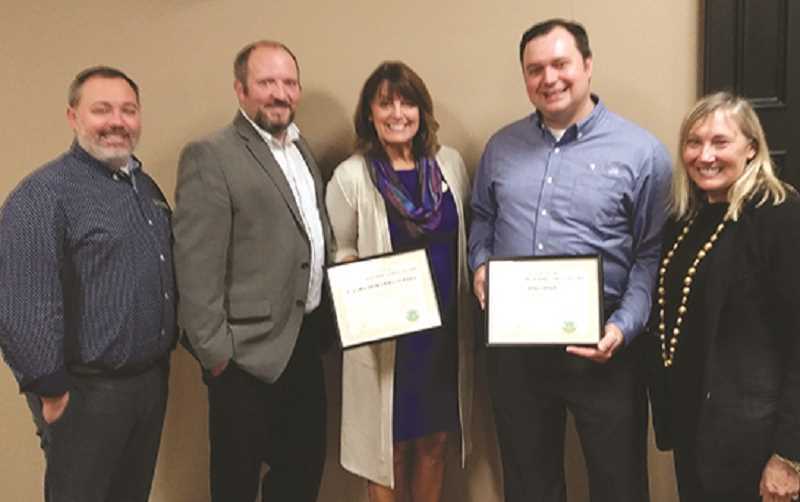 Two local companies, DirectLink and Canby Builders Supply, were recognized and given certificates for their contribution to beautifying Canby. In presenting the awards, it was noted that both companies enhance the visual landscape along Highway 99E with beautifully manicured lawns, shrubbery and flowers. Canby Builders Supply features showy knock out roses that bloom from spring to fall. DirectLink features flowering trees and beds of seasonal blooms such as pansies. "I'm so surprised, but then, we do have those knock out roses," said Holly Rodway, owner of Canby Builders Supply. "We are very honored. 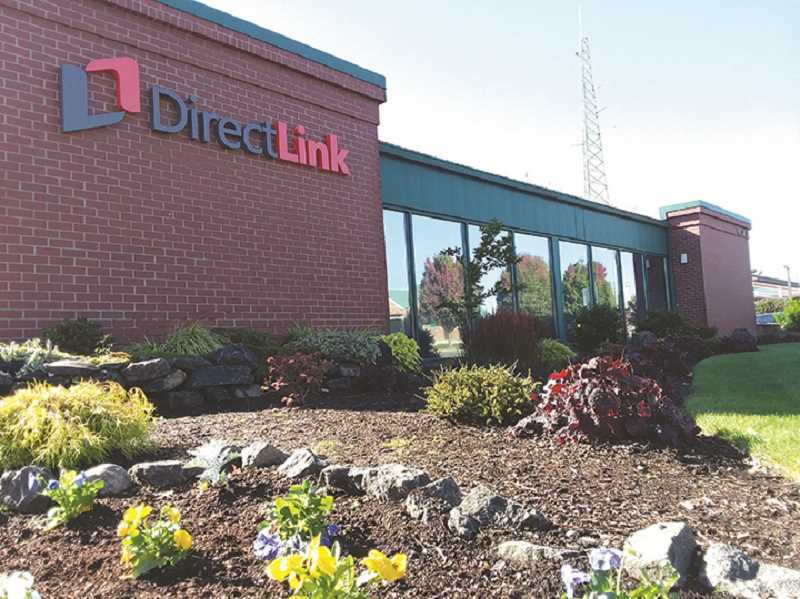 Hopefully other companies will follow suit," responded Levi Manselle of DirectLink. "Thank you for your contribution in helping to make Canby a garden spot," said Cathy Rae Smith of Canby Garden Club. The Canby Garden Club is putting out a call to the community to join in its next Canby beautification planting of more knock out roses along Highway 99E across from the NW Furniture Outlet store on Saturday, Nov. 17. Planting will begin at 10 a.m. and will be followed by a hot chili feed. Bring a shovel, gloves and dress for the weather. Volunteers will meet at the planting site across from NW Furniture Outlet on Highway 99E rain or shine.